If you are apart of Friend’s of Krispy Kreme then you too would have got the chance to vote for the return of a vintage classic. Which did you choose? Personally I opted for the Powdered Blueberry however fear not because out of the 34,000 votes the results were so close that Krispy Kreme have decided to stagger the return of all four Vintage Doughnuts, and first up is the Vintage Glazed Kreme. I am a lover of the simple classic glazed ring doughnut, however this takes it one step further with the addition of Kreme filling. 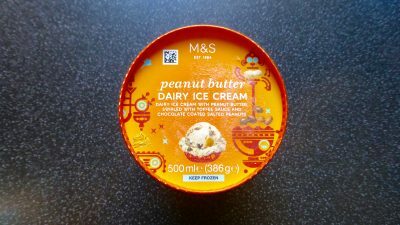 Surely this is going to be a winner! 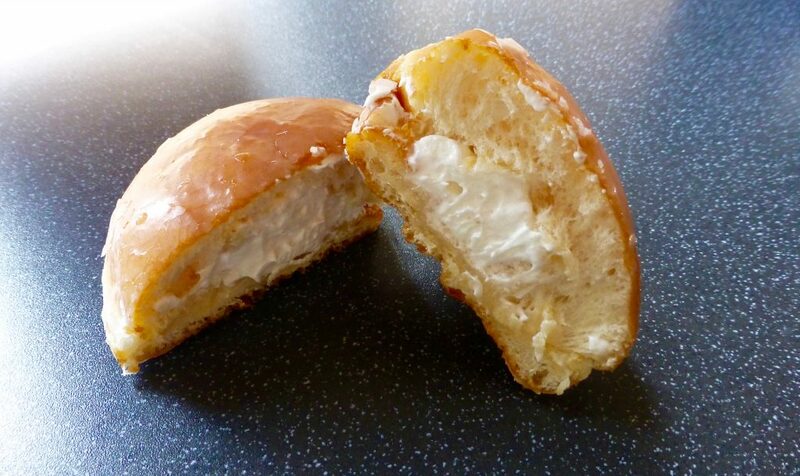 Coated in our signature glaze & filled with a light & fluffy Kreme. Slicing this open it revealed the pure white whipped Kreme filling. 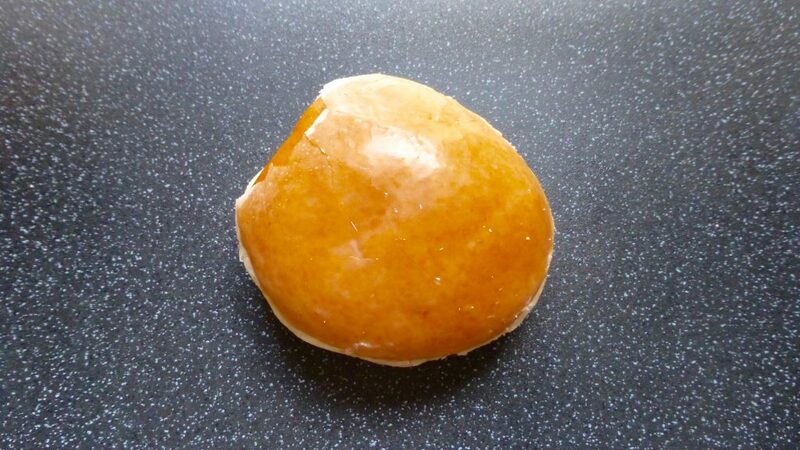 The upper dome of the doughnut was light and fluffy, just how a Krispy Kreme doughnut should be, however the lower half was very stodgy and not the good kind of stodgy. The bottom was certainly far chewier than usual and in my opinion was undercooked. There was plenty of thick Kreme filling to go around however the filling itself had no flavouring whatsoever and just added to the sweetness already coming from the sticky sugared glaze. This doughnut was far too sweet and with the addition of undercooked dough it made for a disappointing doughnut. I so wanted to love the Vintage Glazed Kreme however it’s just all wrong. The Maple Crunch is still my number one of the new Krispy Kreme range with this Glazed Kreme and Smores coming in way below standard. Fingers crossed the rest of the vintage range doesn’t follow suit. The Glazed Kreme is available until 18th Sept and is followed by Powdered Blueberry from 19th – 2nd Oct, Cruller from 3rd Oct – 16th Oct and Pumpkin Spiced from 17th – 31st Oct.